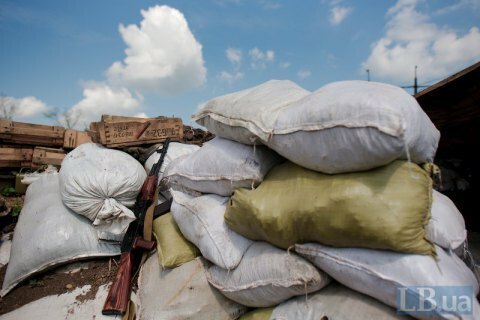 ATO HQ records 24 enemy shelling attacks. Over the past day, the Russia-backed militants made 24 shelling attacks at the positions of the Armed Forces of Ukraine that have not led to human casualties, ATO headquarters said in a release on Wednesday, 13 December. In the Luhansk sector, militants in the evening shelled the outskirts of Vrubivka using 152-mm artillery and 82-mm mortars to fire at Ukrainian defenders of Novooleksandrivka and Popasna. In the Donetsk sector, the enemy released in the afternoon a dozen 122-mm artillery shells at the defensive fortifications between Vodiane and Talakivka and fired 120-mm mortars at the defenders of Pavlopil, Vodyane and the Opytne. Opposite Avdiyivka, the enemy used 82-mm mortars, and a tank in the area of the Butivka coalmine. In the areas of Kamyanka and Novotroyitske, militants violated the ceasefire by firing grenade launchers and small arms. On Monday, the ATO forces reported no casualties amid 22 shelling attacks.